Users must be created already before they can be added and assigned roles and permissions. The roles and permissions assigned in this procedure give the user the permission to log in to the User Portal and to start creating virtual machines. The procedure also applies to group accounts. On the header bar, click Configure to open the Configure window. Click System Permissions. Click Add to open the Add System Permission to User window. Select a profile under Search. The profile is the domain you want to search. Enter a name or part of a name in the search text field, and click GO. Alternatively, click GO to view a list of all users and groups. Select the check boxes for the appropriate users or groups. Select an appropriate role to assign under Role to Assign. The UserRole role gives the user account the permission to log in to the User Portal. Log in to the User Portal to verify that the user account has the permissions to log in. You can view detailed information about each user in the Users tab. Click the Users tab to display the list of authorized users. Select the user, or perform a search if the user is not visible on the results list. The details pane displays for the selected user, usually with the General tab displaying general information, such as the domain name, email and status of the user. The other tabs allow you to view groups, permissions, quotas, and events for the user. For example, to view the groups to which the user belongs, click the Directory Groups tab. Users can be assigned permissions on specific resources or a hierarchy of resources. You can view the assigned users and their permissions on each resource. Click the resource tabs, and select a resource in the results list. Click the Permissions tab of the details pane to list the assigned users, the user's role, and the inherited permissions for the selected resource. When a user account is no longer required, remove it from Red Hat Enterprise Virtualization. Select the user to be removed. Ensure the user is not running any virtual machines. Click the Remove button. A message displays prompting you to confirm the removal. Click OK. The user is removed from Red Hat Enterprise Virtualization, but not from the external directory. 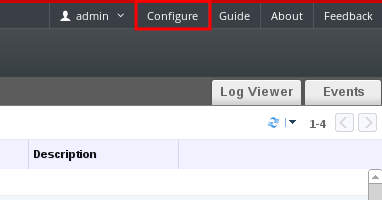 In Red Hat Enterprise Virtualization 3.6 and later you can view the users who are currently logged in. Click the Guest Information entry in the tree pane to view the details of the session for each logged in user. In Red Hat Enterprise Virtualization 3.6 and later you can terminate the session of a user who is currently logged in. Click the Guest Information entry in the tree pane. Select the user session to be terminated.